Jeong Ho graduated from the Korea Culinary Art & Science High School, at which time he decided to pursue a career in food and the culinary world. He made plans to travel and left for America, finding employment at the Hyatt Hotel in Nevada. He moved to accept an internship at MOTO in Chicago where he furthered his experience and built on his passion for fine dining. 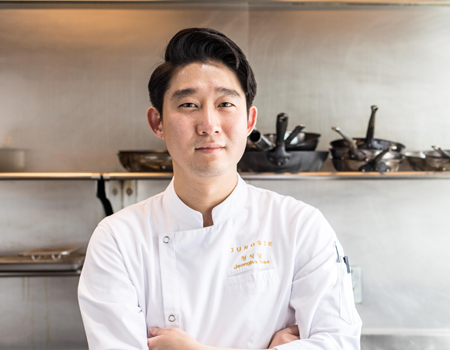 Jeong Ho returned to Korea in 2009 and joined Jungsik restaurant, switching between Seoul and New York, working as part of the team for the opening of Jungsik NYC. 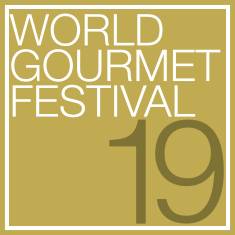 During this period, he was appointed as the Executive Chef, responsible for the development of the menu and the day-to-day running of the kitchens. His philosophy is centred around sourcing the finest ingredients and the careful balance of flavours.